Seek To Know The Truth: Did Turkey Just Declare War On Syria? The Turkish Parliament has "authorized military operations" against Syria. So exactly what does that mean? Did Turkey just declare war on Syria? For now, the government of Turkey is making a clear distinction between "military operations" and "declaring war". If Turkey were to "declare war", that would likely involve Turkish troops actually entering Syria, and the war would not be considered "won" until certain objectives are achieved. So by just authorizing "military operations" against Syria, Turkey can sit back and fire off artillery rounds (and potentially call in air strikes if necessary) without being committed to entering Syria or attacking Damascus. Turkey is not too keen on invading Syria by itself anyway. Turkey would want the help of NATO in such an event, and right now Barack Obama has made it abundantly clear to the Turkish government that he is not going to participate in an attack on Syria before the election. Obama has been leading in the polls and he has way too much to lose by starting another war. But what all of this does show us is a couple of things. First of all, once again we see that the Middle East is a tinderbox that can erupt at any moment. Second of all, just the rumors of a war between Turkey and Syria sent the price of oil absolutely skyrocketing on Thursday. It is frightening to imagine what a real war in the Middle East might do to the price of oil. Turkey's Parliament authorized military operations against Syria on Thursday and its military fired on targets there for a second day after deadly shelling from Syria killed five civilians in a Turkish border town. For its part, Syria admitted it was responsible for the shelling that killed five people in Turkey and formally apologized for the deaths, a top Turkish official said. There are reports that the Turkish response was actually much stronger than the mainstream news has been admitting. Constrained from a substantial military incursion into Syria by US President Barack Obama's veto and Saudi and Qatari refusals to help pay for it, Turkey's government and military decided to make do with carving out a buffer strip 10 kilometers deep into Syria by continuous artillery barrages. Thursday morning, Oct. 4 at 0300 GMT, Ankara ordered the Turkish army to keep up its cross-border shelling of Syria after the first bombardment Wednesday night in response to the deaths of five Turkish civilians and eight injured by Syrian mortar shells which exploded in their village. DEBKAfile's military sources report the artillery squads were told to aim primarily at Syrian military targets inside this strip, including bases, outposts and Syrian forces on the move. 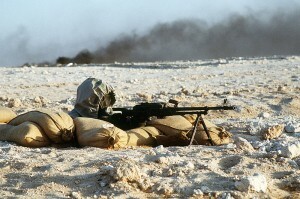 Several Syrian bases and outposts have been hit so far and a large number of Syrian soldiers killed or wounded. 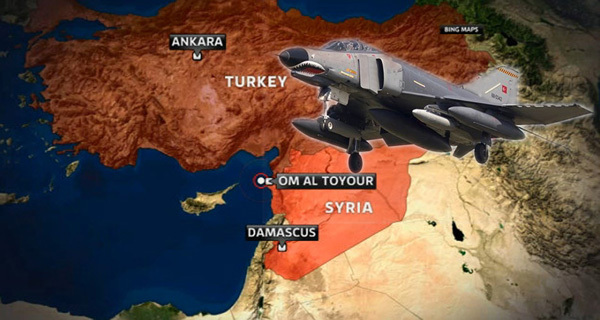 Neither Ankara nor Damascus is offering information on casualties. They have imposed a heavy blackout on events so as to keep them under control and avoid the risk of a full-blown war. Many believe that this could end up being the excuse that NATO will use to intervene in the conflict in Syria. Since the uprising against President Bashar Assad began, approximately 30,000 people inside Syria have been killed. It has been a very bloody conflict. But Syria is not alone. The Assad regime still has plenty of friends. In fact, there have been reports that both Hezbollah and Iran have been moving forces into position to help defend Syria. That is one reason why it is so important to keep a close eye on this conflict. What is starting out as a conflict between Turkey and Syria could end up drawing in the United States, the rest of NATO, Iran, Hezbollah and potentially even several other countries in the Middle East. And if war erupts in the Middle East, the price of oil is going to go through the roof. Just look at what happened on Thursday. The price of oil jumped about 3 dollars as reports of what was happening between Turkey and Syria reached the financial markets. So what would happen if a full-blown war in the Middle East took place and the flow of oil was significantly disrupted? That is a bit frightening to think about. Sometimes we need a reminder of just how fast things can change. For example, thanks to a couple of temporary refinery problems in California the price of gasoline in that state is spiking and some gas stations are actually shutting down for a while. The average price of a gallon of gasoline in California increased by 8.3 cents on Wednesday alone. It is now sitting at $4.315, which is about 53 cents above the national average. Gasoline station owners in the Los Angeles area including Costco Wholesale Corp. (COST) are beginning to shut pumps as the state's oil refiners started rationing supplies and spot prices surged to a record. Valero Energy Corp. (VLO) stopped selling gasoline on the spot, or wholesale, market in Southern California and is allocating deliveries to customers. Exxon Mobil Corp. (XOM) is also rationing fuel to U.S. West Coast terminal customers. Costco's outlet in Simi Valley, 40 miles (64 kilometers) northwest of Los Angeles, ran out of regular gasoline yesterday and was selling premium fuel at the price of regular. Dave Hallak, owner of Emerald Oil at 5600 Baltimore Drive, received a call Wednesday morning from his gasoline supplier saying he won't be getting more gasoline until mid-October. "My supplier said there's no gas available in San Diego," said Hallak. "He said 'all the racks are down in Southern California and there's very tight supply, if any.'" Of course these problems are just temporary and things should get back to normal soon. But what if a major war in the Middle East disrupted the supply of gasoline for an extended period of time? Our world is becoming increasingly unstable, and an event on the other side of the globe can change all of our lives in an instant. Let us hope for peace in the Middle East, but let us also get prepared for the day when war will inevitably come.